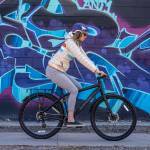 Looking for a great commuter bike for $500? We found five awesome, simple bicycles in that price range to meet a variety of daily commutes and riders. (Plus, we tossed in a couple of top commuter bikes as splurge options, too). 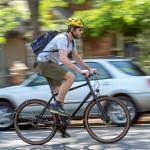 When it comes to picking a commuter bike, there’s a surprising amount of options. Do you want a bike that will get you to and from the office looking fly as hell? Or do you prefer a ride you can use to train on the weekends in Lycra? Also, do you need it to store easily, or be easy to repair? 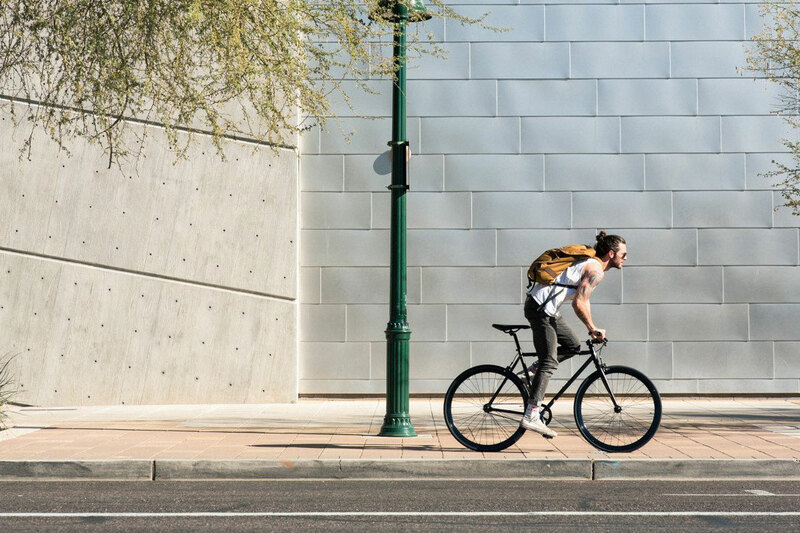 With all of these considerations in mind — and with an eye toward a bargain — we rounded up a few fantastic commuter options. Whether you’re just embarking on a commuter lifestyle or looking for a new everyday ride, it’s possible to get a great bike from a well-known brand for just a few hundred bucks. Co-Op Cycles, REI’s in-house bike brand, has come a long way in a few short years. After retiring the Novara brand, REI rebooted its cycling program and now offers sturdy bikes at reasonable prices. Not to mention, a bike purchase includes free tune-ups and a dividend back if you’re a Co-op member! The CTY 1.1 offers a perfect, basic, no-frills commuter bike with wide Kenda tires (40 mm) and Tektro disc brakes for good stopping power. It comes with Shimano 24-speed shifters that are easy to use and easy to get repaired if needed. Meanwhile, the aluminum frame keeps the weight relatively low, even if you opt to add fenders or a rack to carry work gear. If you prefer a bike that will look like art in a small apartment, the Brooklyn Bicycle Co Bedford 3 is it. The Bedford 3 has only three speeds, but it makes up for that with a sweet Shimano internally geared hub and serious style points. It’s a great option for Manhattanites with relatively flat commutes to work and small spaces for bike stowage. 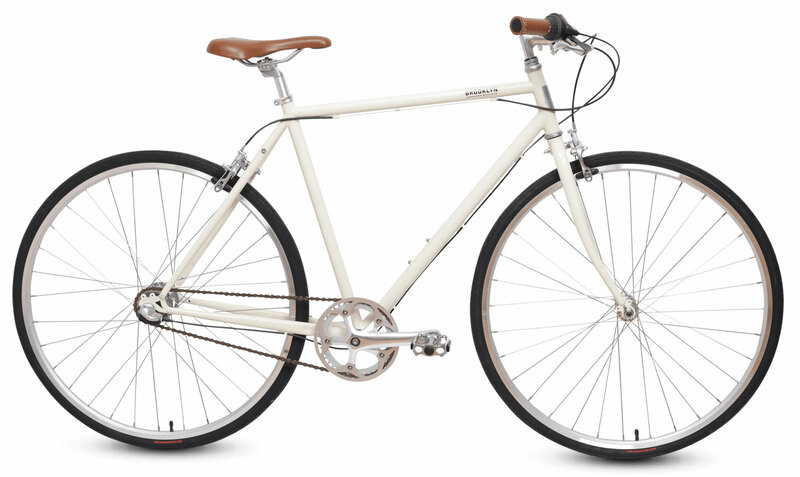 Sleek white paint paired with a vegan leather saddle and grips help this bike pair with anything. But its burly 32mm tires can handle city streets and cobblestones. This bike is great for budget shoppers thanks both to its $500 price tag and the fact that Brooklyn Bicycle Co offers monthly financing. Internally geared hubs are great as they require little to no maintenance, but in the rare event a repair is necessary, the hub would likely need a more intense repair. If you do basic cleaning and keep your bike in decent shape, it will help keep the costs low. That’s right, you can still score big-name bikes at low prices if you know what to look for. 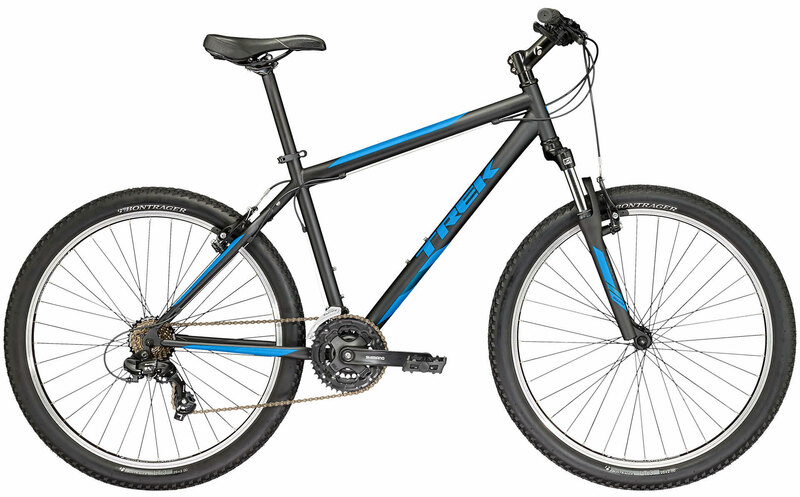 Trek’s 820 is the perfect intro off-road bike that will pedal comfortably to the office but remain poised for action if you want to get a little “send-y” on the ride home. 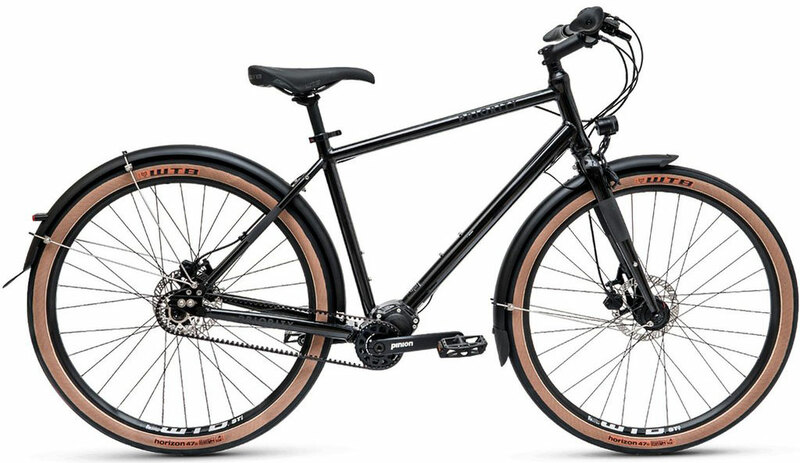 The steel frame has a suspension fork with 75 mm of travel (reasonable rough terrain and modest trails), and a Shimano Tourney 14-speed drivetrain provides power. Bontrager, Trek’s house brand, rounds out componentry like bars and the saddle, and Tektro provides pull-brakes. (Unfortunately, it’s hard to find good disc brakes at this low of a price point). 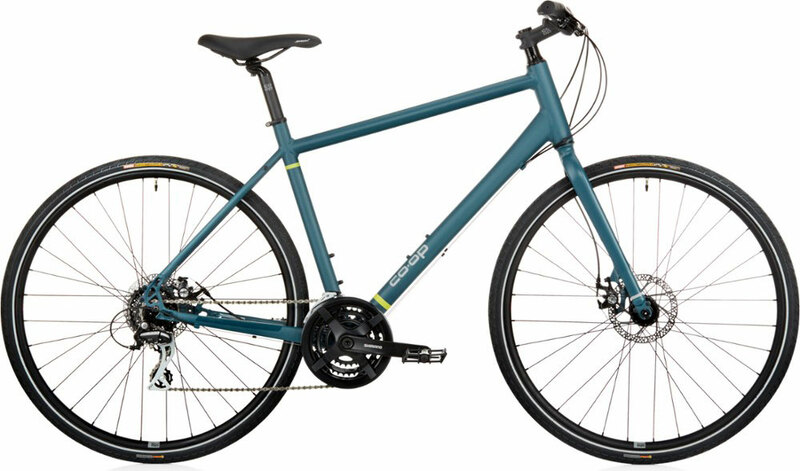 At $400, it’s comparable with big-box store mountain bike options, with the Trek brand (and R&D department) backing it. Even if you can find a cheaper mountain bike at Walmart, this one is well worth the few extra bucks. Can’t stop, won’t stop: the fixed-gear aficionado motto. Nothing beats the simplicity of a fixed-gear bike, nor does anything else provide the same commuter-chic style. A perfect example? 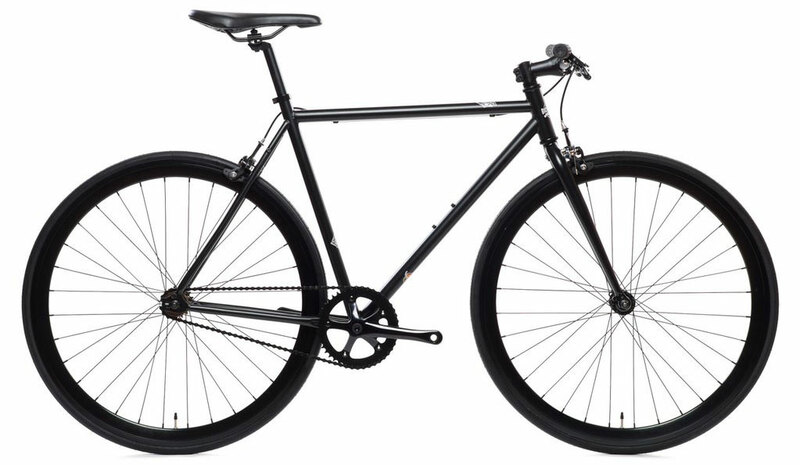 The $300 stealthy matte-black fixie from State Bicycle Co. The Wulf is the brand’s base model, but it’s designed to blend in and look unobtrusive when you need to lock it outside of a dive bar. Yet it still looks classy enough to hang on your wall or walk into your office. It comes with a flip-flop hub, meaning if you prefer to run it single-speed (and coast) and use standard brakes (included with the bike), that’s an option. Plus, while many brands don’t offer extra-small fixed-gear models, State Bicycle Co actually carries frame sizes from 46 to 58 cm. That’s great news for the shorties out there! And the $300 price tag has a solid bonus: The bikes ships for free in the U.S., and come with a 5-year warranty. If you commute partially by train or bus, a folding bike can make your life a lot easier. There are plenty out there that could make this list for under $200, but honestly, you get what you pay for, and folding bikes are pretty complicated. Shell out more cash for a well-established brand like Tern, and you’ll spend $650 for the entry-level Link C8. But you’ll get a bike that doesn’t break down halfway through the workweek. The aluminum frame comes equipped with Shimano components and offers eight speeds. 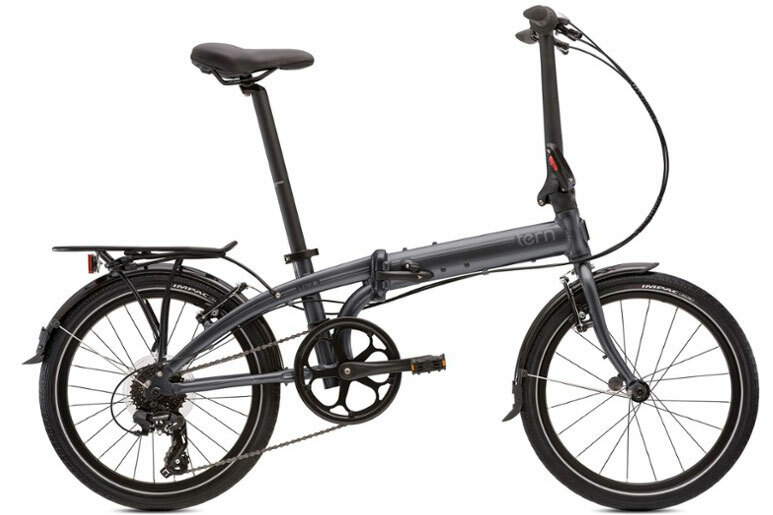 Its main difference from pricier folding bike models is simply that it’s a bit heavier, weighing in at 30 pounds, but that’s not too tough to lug onto the bus or train. And if you buy the Link C8 through REI, you also get a free tuneup in the first 6 months of riding! If you talk about bombproof bikes, the Surly name will almost assuredly come up in conversation. These bikes are built to last no matter what you put them through. True story: My first cyclocross bike was a borrowed 5-year-old Surly Cross Check that, 12 years later, is still being passed around to young riders in New Jersey. For a cyclist looking for a bike that can handle anything, from gravel grinding to a simple 2-mile commute, the Surly Disc Trucker is a great option. The steel frame might be heavy, but it will outlive any carbon frame on the market — this is a bike your grandchildren can inherit. 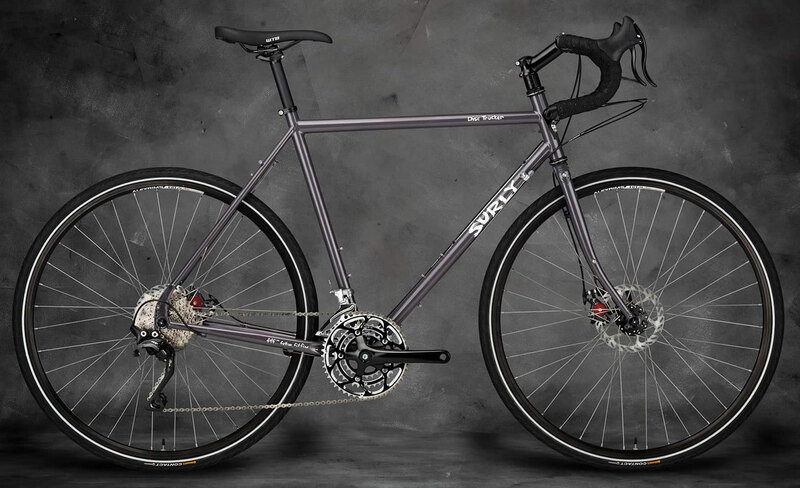 And the Trucker is Surly’s touring bike, so it’s ready for racks and fenders for optimal commuting and adventuring. Plus, it can fit fatter 2.1 tires on 26-inch wheels or 45mm tires on 700c wheels, making it extra gnarly if you want. But it will still offer a smooth, comfortable ride if you’re wearing a business suit. We get it: Sometimes you just don’t have time to “build out” the perfect commuter bike. If you’re in a busy area and you just don’t have time to equip your bike with all of the bells and whistles you need to feel safe, secure, and dry on your way to work, consider splurging on the PRIORITY 600. The 600 is PRIORITY’s “all-road” model, capable of tackling the commute even if a road is torn up by construction. It has a sealed, weatherproof, internally geared 12-speed Pinion gearbox that PRIORITY clams is equivalent to a traditional 30-speed bicycle. It’s a unique system that’s closer to an automotive transmission than a traditional derailleur. Turning the wheels, the Gates Carbon Drive belt provides a rustproof alternative to a bike chain, so this bike is ready for the worst spring showers. Meanwhile, Tektro’s hydraulic disc brakes mean you’ll be able to stop on a dime, even if there’s unexpected black ice on the road. And 650b Road Plus tires from WTB feel like a normal road tire on pavement but offer plushness that makes the bike great for mellow trails as well. Lastly, the 600 comes with full fenders, front and rear lights, and reflective paint details, so you don’t need to add to your budget installing extras. And PRIORITY is an especially good choice if you need your bike yesterday! Easily the simplest buying process on this list, all PRIORITY orders ship same-day. And if you have a local VeloFix branch, you can use code “velofix600” for free Velofix white glove delivery.